The first of two interim title fights will go down at UFC 236 when Kelvin Gastelum meets Israel Adesanya in the Octagon. 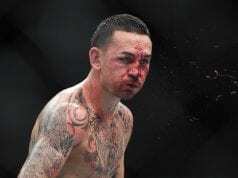 As always, Lowkickmma has you covered with all the results from UFC 236 as they happen. Gastelum (16-3) has been in this position before. 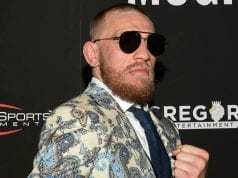 He was scheduled to face middleweight champion, Robert Whittaker for the title at UFC 234 but an unfortunate injury took hold of the champion and the rest is history. As for Adesanya (16-0). He will make his sixth walk to the Octagon on Saturday night; he only needed 14 months to do so. In Gastelum, “Stylebender” will face his toughest wrestler to date. Let’s see how this plays out. Gastelum pressures then backs off. Adesanya throws a push kick as a range finder. Gastelum faints and looks for an opening. Adesanya lands a hard body kick. Gastelum clips him with a left hook. Both fighters look very relaxed. Gastelum clips Adesanya with a left hook, he stumbles and gets back to his feet. Gastelum lands a right hand., then a left. Adesanya looks like he has regained composure. 90 seconds left in the round. Gastelum wades in with a left hand. Adesanya throws a one-two, Gastelum answers. The round ends. Gastelum takes the center of the Octagon quick to start round two. Adesanya lands a body kick, then he circles out. He throws some slow-motion punches then a wheel kick in real time. Gastelum catches him with a jab. Adesanya goes to the head with a kick but Gastelum eats it. Gastelum lands a jab. Gastelum pressures and lands a right hand. Adesanya drops Gastelum with a right hand. He dives on Gastelum but he recovers. Both men get to their feet. Adesanya lands a head kick, then a right hand to follow. Gastelum is in trouble. Adesanya lands a spinning elbow, Gastelum is hurt. He dives for a leg. Adesanya lands a left hand. Gastelum looks for a takedown. The round ends with the fighters on their feet. Gastelum takes the center to start. Adesanya lands a thudding leg kick. Gastelum is bouncing on the outside trying to bypass a nine-inch reach. Adesanya throws a push kick. He then throws a body kick. Gastelum lunges in, the men exchange kicks and punches in the pocket. Adesanya lands a counter right hand, then a jumping knee. Gastelum loops a right hand. Adesanya buries a body kick. Gastelum lands a right hand. He gets deep on Adesanya and lands a takedown. Adesanya gets right back to his feet. Less than one minute to go. Gastelum labors a right hand. The horn sounds. Again, Gastelum takes the center of the Octagon quickly. He moves forward and lands a leg kick. Adesanya lands a knee to the body. Then a leg kick. Gastelum eats a right. Adesanya goes head-body-head, Gastelum pressures and lands a kick. Gastelum lands a leg kick. Adesanya lands a straight right hand. Both fighters stand and trade. Adesanya throws a hard inside leg kick. Gastelum wings a left hand. 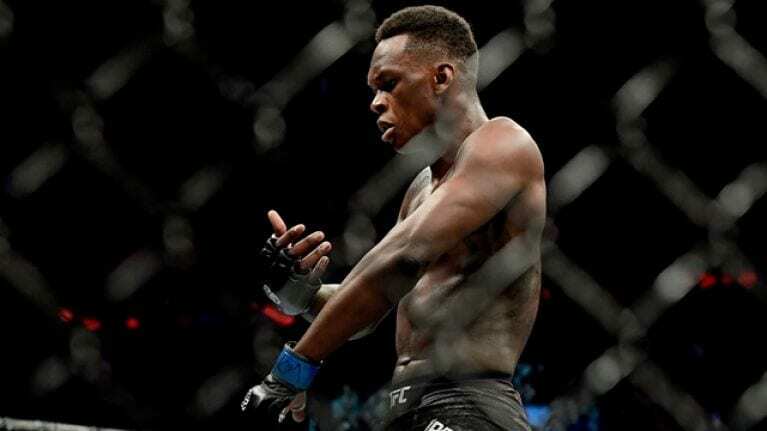 “Stylebender” cracks him with a right, then a left. Gastelum hurts Adesanya with a right hand. He pressures as Adesanya backs up. Gastelum is moving in as the horn sounds. Gastelum waists no time and rushes across the cage. He lands a combo. Adesanya lands a kick of his own. Then lands a front kick. Adesanya lands a straight right hand. Gastelum looks for a takedown, Adesanya looks for the choke. Gastelum escapes. Adesanya chains submissions. The fight gets back to the feet, crazy. Adesanya snaps Gastelum’s neck back with a straight right hand. He crack him with another right hand. The fight slows a bit. Adesanya lands a one-two. Adesanya drops Gastelum with a right. Gastelum looks for a leg and tries to take Adesanya down. He gets lit up. Adesanya is smashing Gsdtelum. He blasts an elbow. The right is over.